PHP is an open source scripting language used in web designing and is considered as the game changer of the present website designing. One could develop a content-rich Event website with PHP. 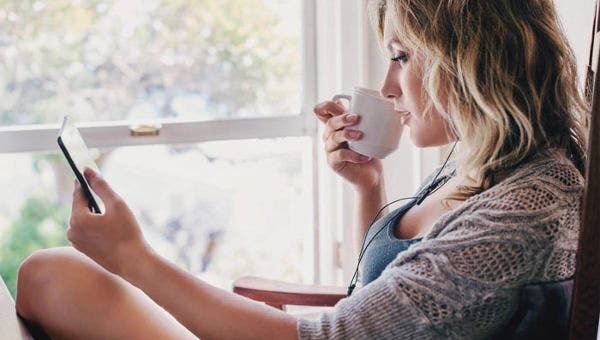 The themes could also include advanced features like registry, contacts, events, booking system, and also, could be used for blogging.You may also visit Event HTML5 Themes. 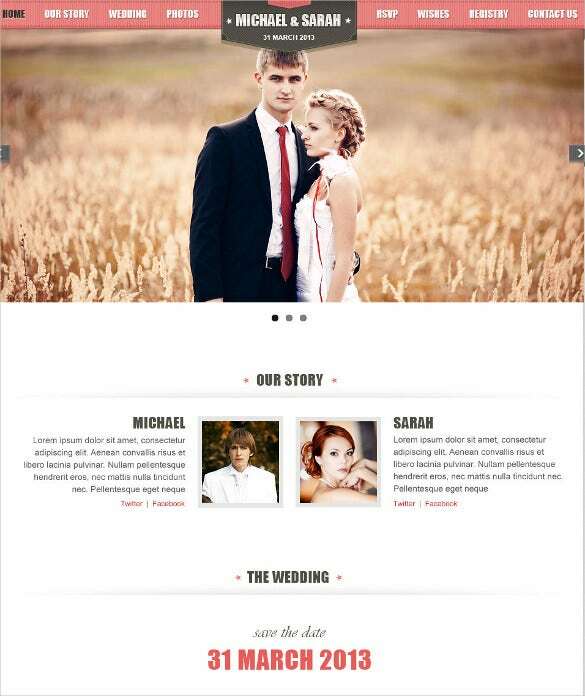 This simple yet personalised wedding Template is the best way to plan and manage your wedding and all allied aspects. It’s a single background page with a description of the ceremony below it. 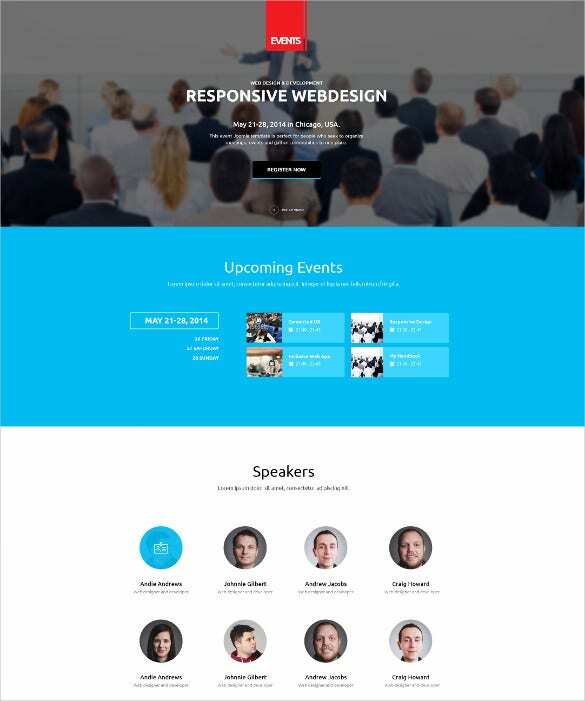 Superb Events is a responsive WordPress theme for conducting and organizing events, workshops and the like. It gives you the option to publish snapshots at the end of the page. It caters to all other aspects of an event like the venue, date and time, key features. 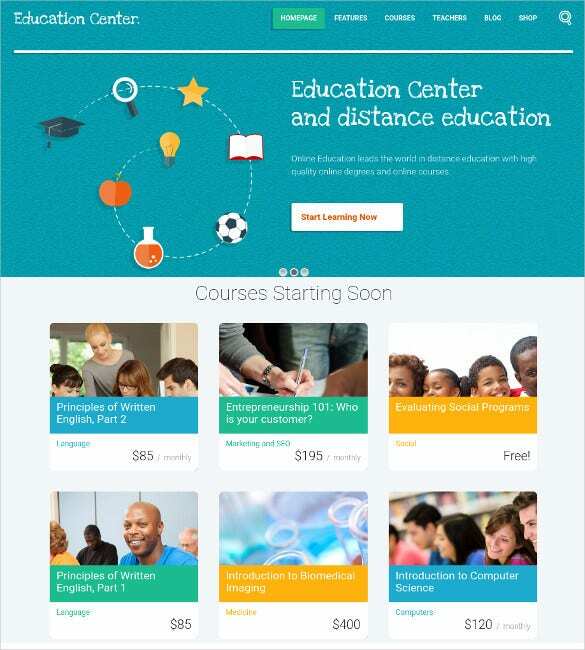 The Education Event & Course WordPress PHP Theme is typically designed for educational institutes like colleges and universities. It’s a one-stop solution for all your educational needs including courses available, deadlines, subjects offered. It also offers a gallery to add that extra zing. 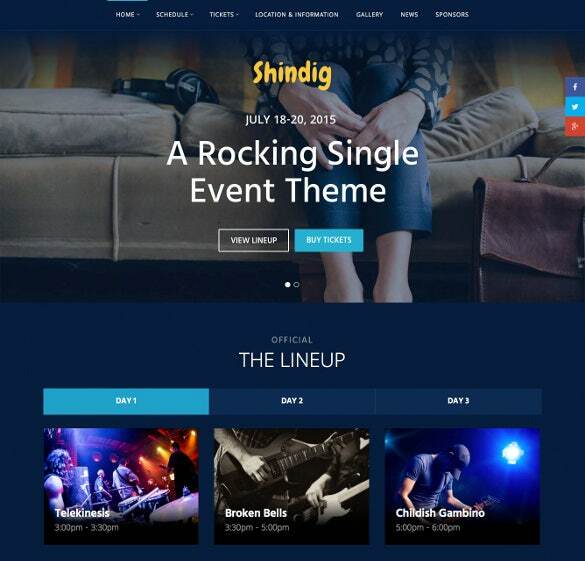 This is a free WordPress theme for Musical events organizers which is fully equipped with all the information that one needs as an audience. 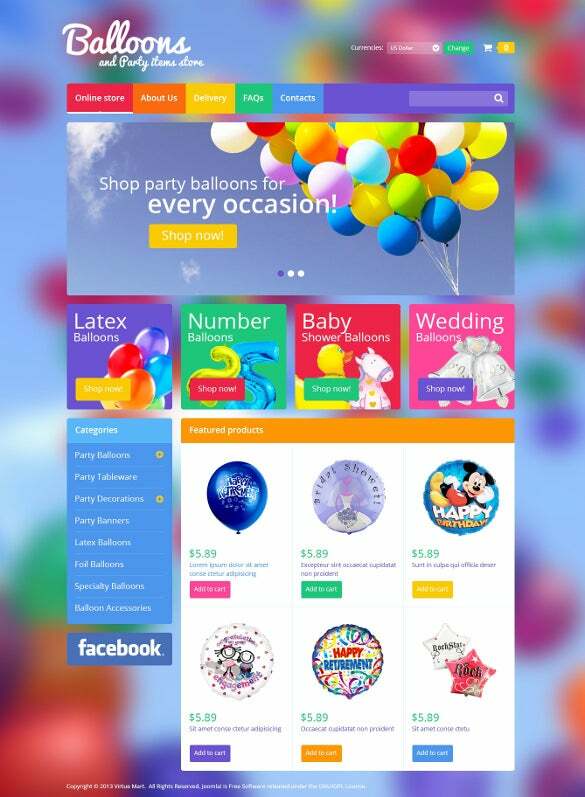 It comes in a very catchy colour theme; is responsive and has information like an event calendar, Artists and Album. This wedding template is best for use by wedding planners who have a wide range of services to offer like advisory, wedding checklists and ideas etc. Powered by Drupal, this templates addresses that need and has in-built sections for all of these making your wedding an unforgettable memory. 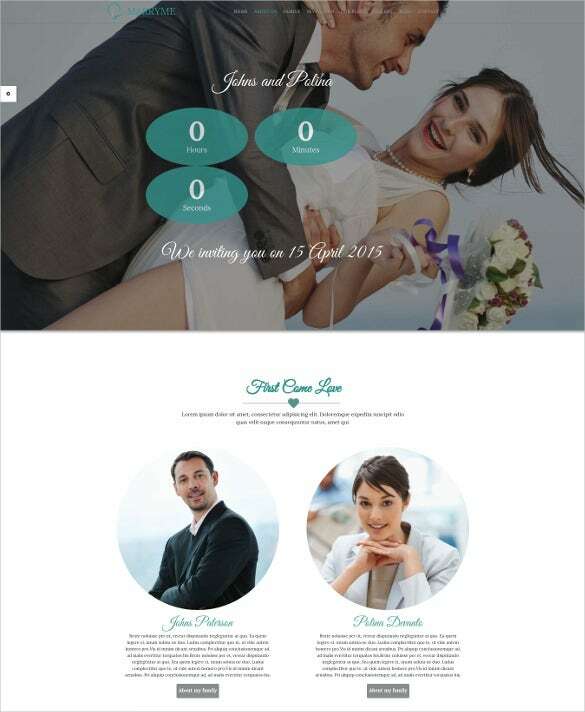 This is a clean and elegant PHP template for planning weddings. 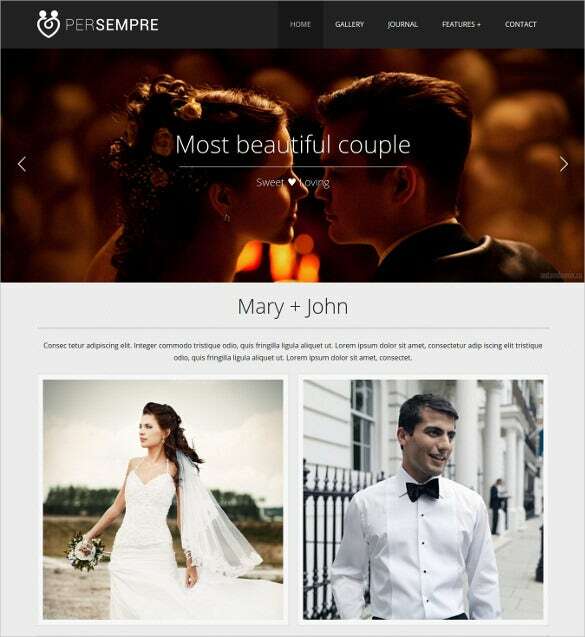 This is perfect your couples who want their own wedding website. 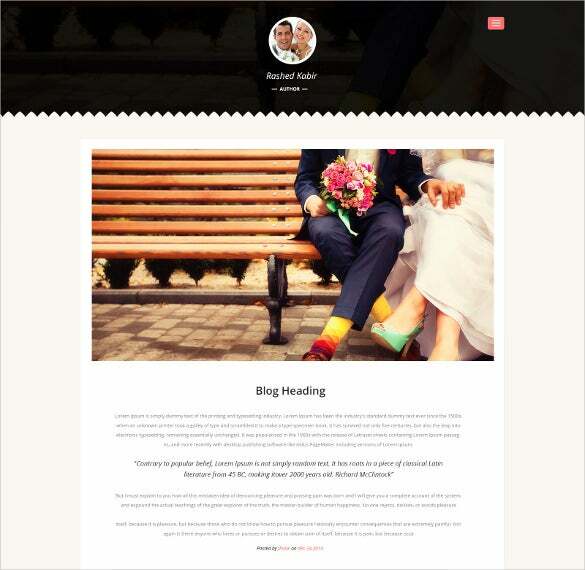 This template can be used for planning guests, writing blogs, sharing memories and planning the wedding parties. It gives the countdown to the main event too. 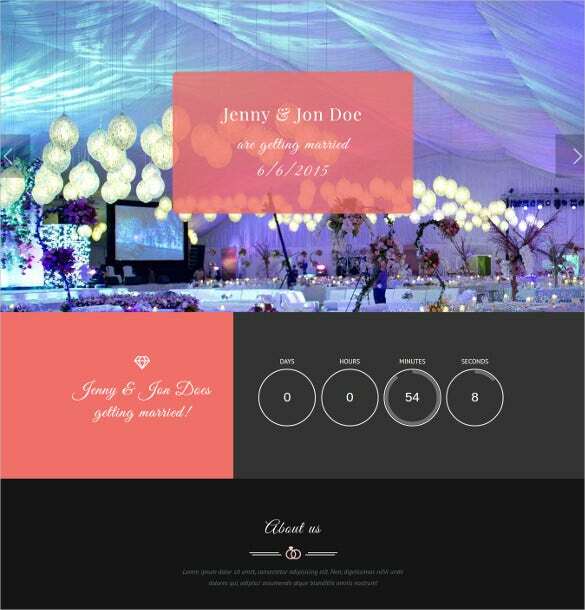 As the name suggests, this is a minimalistic PHP Template for planning your wedding most efficiently. It has a simple-to-use interface and offers you a section to but a brief introduction of the bride and the groom at the end of the page. 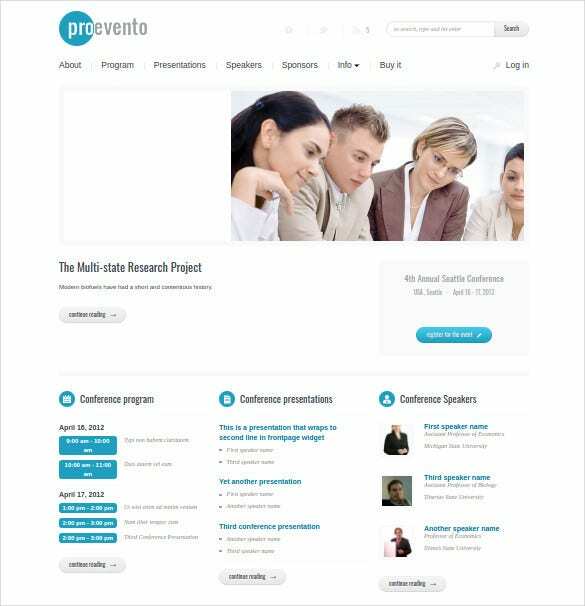 The Events Manager WordPress Responsive PHP Theme is ideal for planning events which span across several days. This is a responsive theme and gives you the option of planning your events with the help of calendar which then displays as a snapshot on the homepage. The Admin panel also has the option of Blogs, Contact info etc. 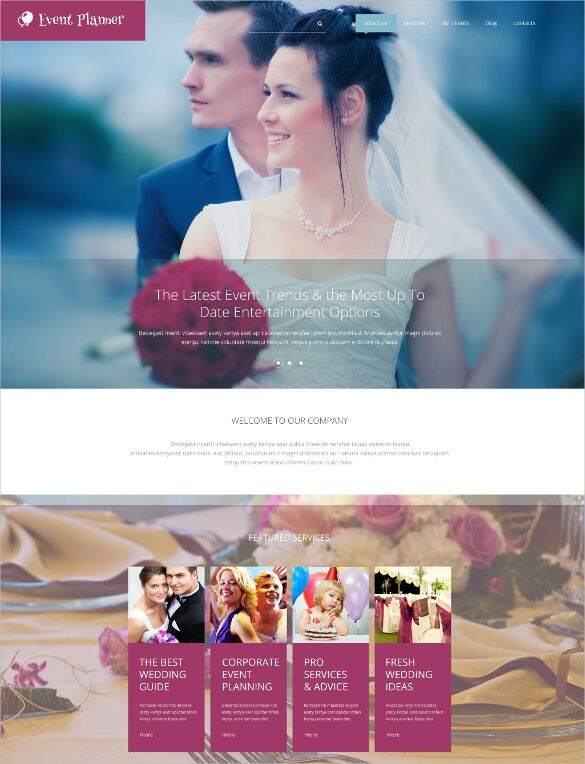 This One page responsive Wedding Planner looks stunning in all types of device screens. It is built on a PHP framework and is fully customizable allowing you to enter the story of your wedding with the help of words, photographs etc. This is perfect for anyone who wants to have their own wedding website. 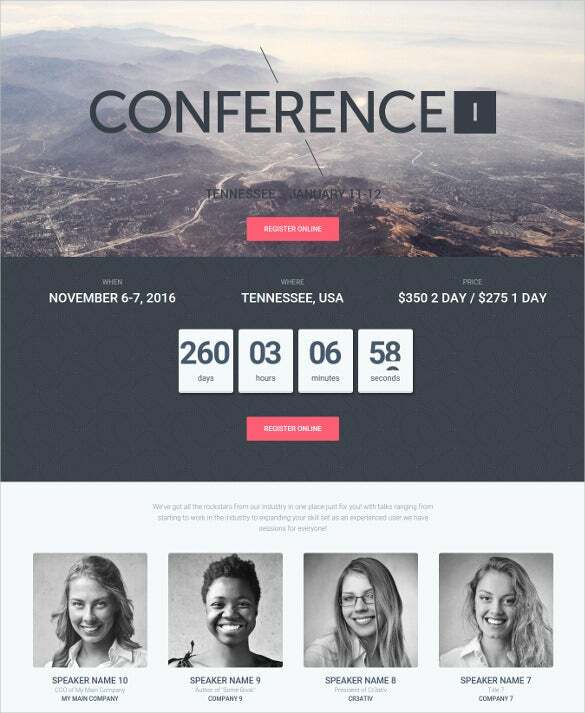 This is a PHP-based Conference wordpress theme is specially designed for meetings, conferences, seminars etc. It gives a section for the brief introduction of the key speakers with an option to upload images. It also gives other important information like pricelist, venue and date. 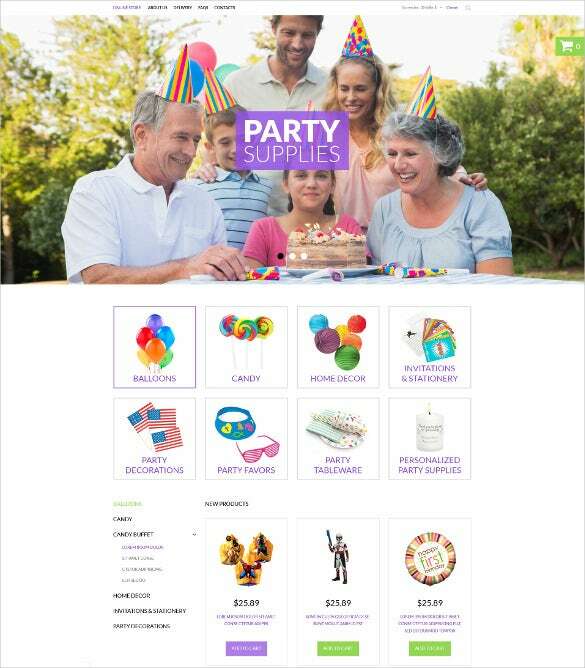 Nowadays specialized event websites are a trend. 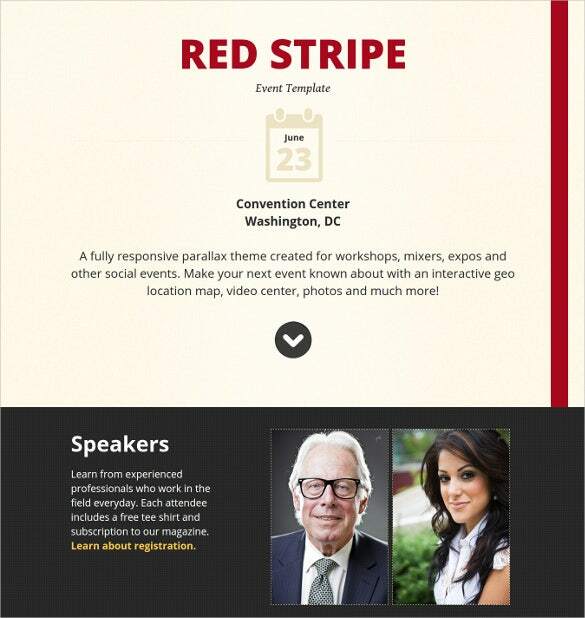 Months or weeks before an event is scheduled to happen, its website is designed and goes live. 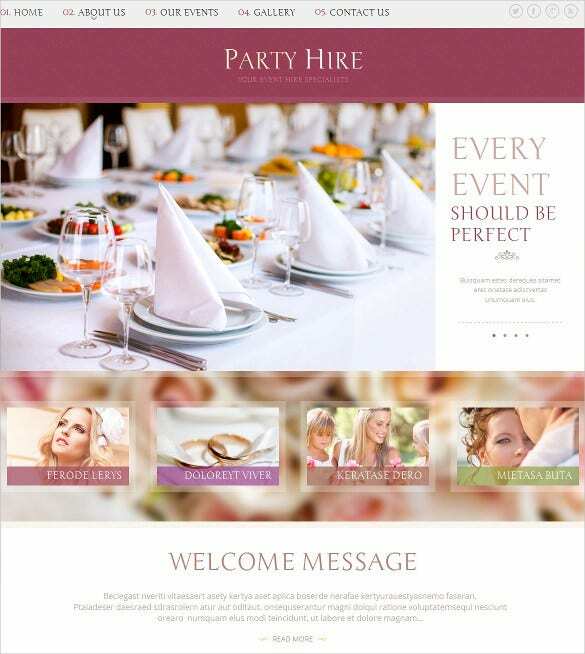 Well, if you’re hoping to develop a website about a particular event – wedding, party, conference etc. 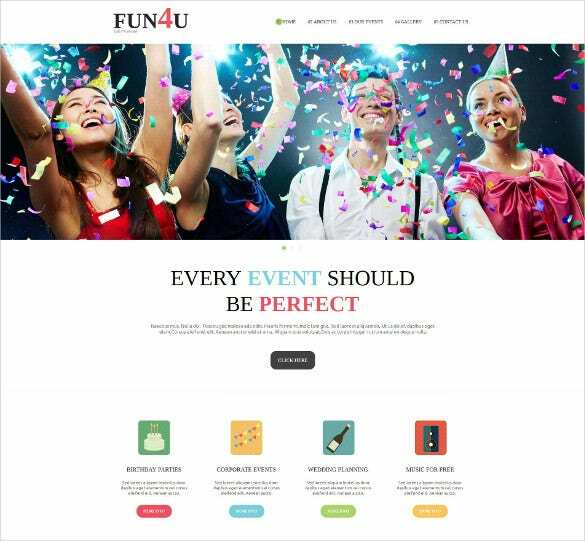 – which is taking place in sometime, we’d recommend you choose event PHP themes to deck up your portal. These themes have got a slew of wonderful features and options – full responsiveness, social media icons and integration, sift navigation themes and attractive designs! 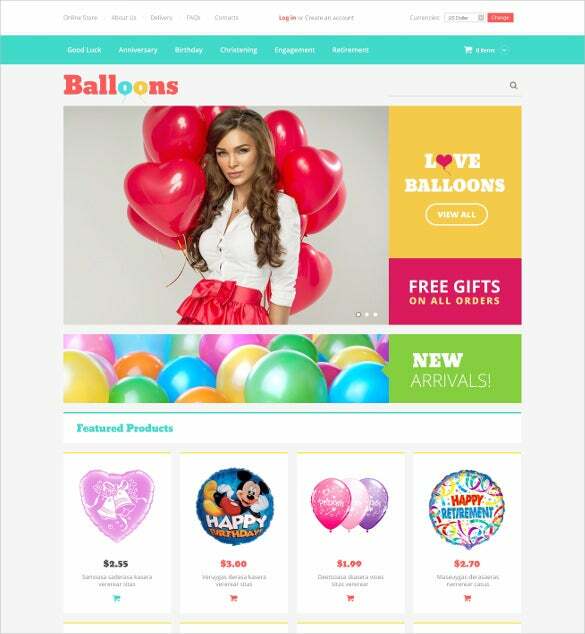 The PHP themes listed on this page are all wound in wonderful designed, each having customization settings and fully editable features , responsive layouts, easy navigation, cross browser compatibility, social media icons, and much more! 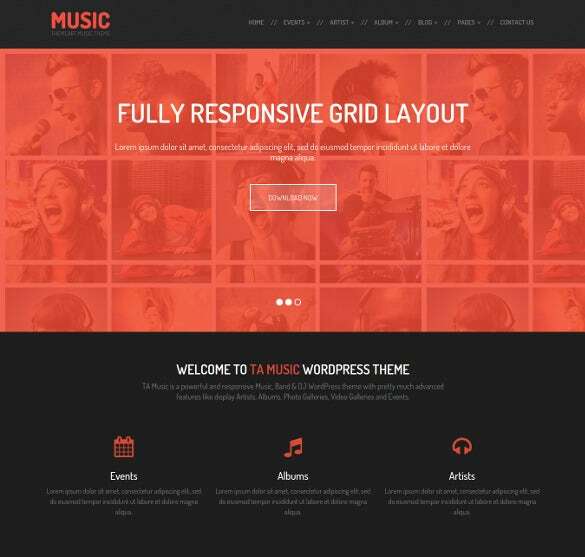 The themes are Bootstrap-supported and free for download. 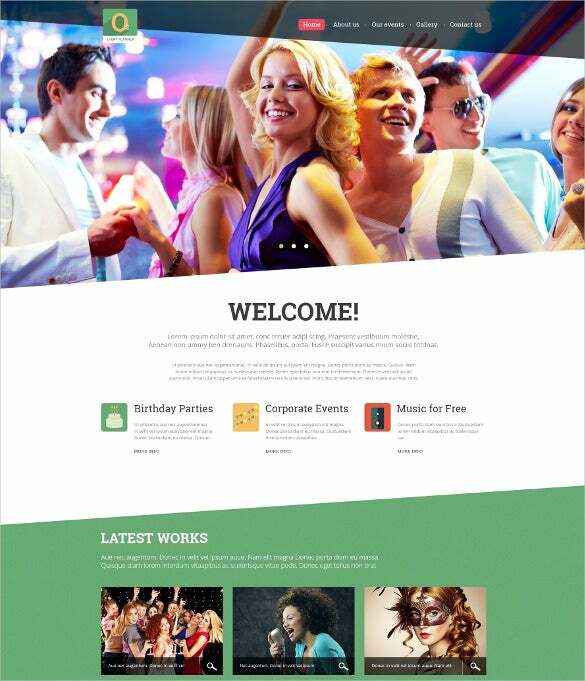 You can use them to design and build websites of all genres.